The all new IJOY Combo Squonker 25mm RDTA is a new and totally different RDTA with a big, easy to use gold-plated build deck and squonk capabilities. 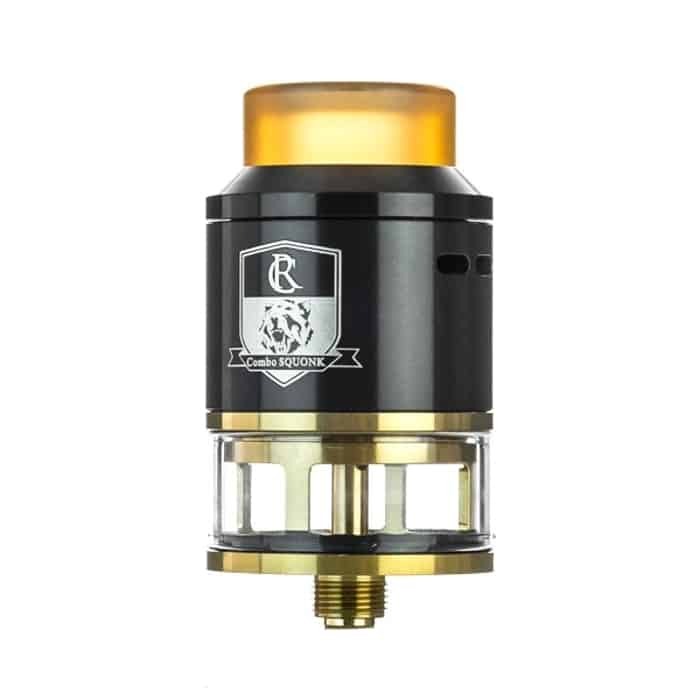 The Combo Squonk 25mm RDTA has a postless build deck that features four terminals measuring at 3mm by 2.5mm and has side mounted Phillips screws to secure coil leads. The Combo Squonk 25mm RDTA allows for ample space on the deck to accommodate larger builds for hassle-free building and has a 4mm eliquid capacity. The Combo Squonk can either be filled through the squonk pin or the centralized fill port located in between the coils. Airflow enters the RDTA via dual adjustable top airflow with three slots each, measuring at 4mm by 1mm each. Installed on the iJoy Combo Squonk 25mm RDTA is a gold-plated bottom feed pin, included in the package is a regular 510 pin for user preference. The 10mm wide bore 810 ULTEM drip tip allows the user to take in hearty vapor production while minimizing heat transfer. iJoy’s Combo Squonk 25mm RDTA is a highly effective and intuitive atomizer for all vapers!